Alex Thomas is the Editor and founder of PIpedream Comics. He grew up reading comics in the 90s, so even though he loves all things indie and small press, he is easily distracted by a hologram cover. 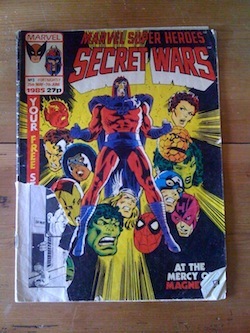 My first comic was Secret Wars #2 what about you? 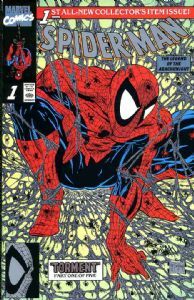 How to become a digital comics sensation: ComiXology’s David Steinberger tells all! “We live in a digital world now and people are used to reading comics online” Comicraft’s Richard Starkings on digital comics and typefaces. 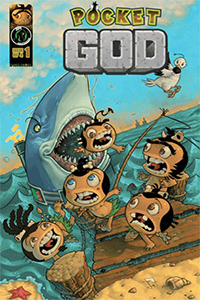 Rolo Mallada on drawing Pocket God comics and making trees happy. Having spoken to the brilliant guys at Ape Entertainment about the Pocket God comics, I really wanted to get an artists persepective and so got in touch with the brilliant Rolo Mallada. I think his answers to my questions are some of favourites!